Do you know that there are more than 90 different time tracking applications on the market today? Even the construction industry is nowadays using construction project scheduling software to manage their time. We’ve spent dozens of hours to test some of them and create this guide that will help you in making the decision which time tracking software fits your needs. Enjoy! 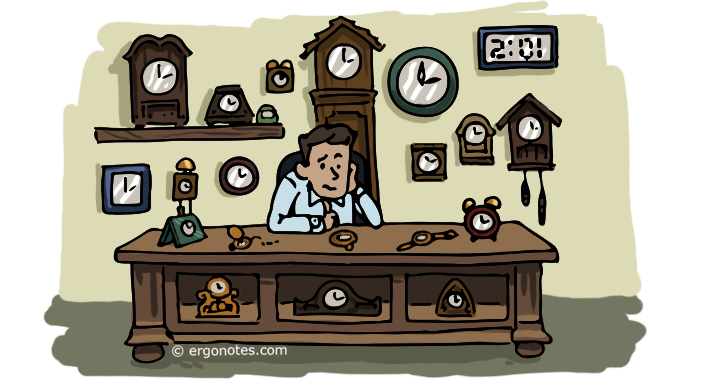 If you’re a developer of some time tracking software and you wish it could be in this list contact us. How to use: as you select options that are vital for your ideal application, the list is being reduced to the apps that match the criteria. That simple! Allows you to keep records of team's working time in terms of customers, projects and tasks. Looks good for team management purposes, rather than for a personal time tracking. * Provides such management features as task estimates and completion tracking, deadline reminders and budget control notifications. Allows finding out the activities employees spend their working time on and how much time was spent on a particular task. You will know how much you should pay your employee and for what. Tracks what your freelancers do and how much they work, showing their current status and screenshots. Allows paying them immediately. Similar to Worksnaps, but with ability to pay contractors and without invoicing. Helps you to see what your employee was doing during a particular day (based on screenshots) and what kind of task/project he/she was doing and how much time he/she spent on it. Additionally, you will be able even to know with whom your employee talked over Skype and what kind of text he/she was typing (again based on screenshots). Best fitted for freelance teams and small businesses, especially if they use Basecamp or Trello to track their projects. Makes easy to send estimates and invoices to customers as well as receive payments from them. Allows to set up daily and project-based time budget. Helps to create professional estimates that include SOW & Contract Agreements Section and allows your client to accept/reject it. Easy-to-use time-tracking software designed for remote teams of employees that includes automatic timesheets and screenshots of employees’ workstations as proof of work done. Screenshot monitoring is completely transparent to the employees and they control when the monitoring starts and when it stops. This app keeps track of what you do on your Mac and provides constant feedback on your productivity. It analyses what apps, websites and documents you are working on and relates this time to some project or simply marks it as productive, neutral or distracting according to your rules. * Tracks YouTube videos and Reddit subs separately, so you can categorize them as productive if necessary. Good for companies working on fixed-price project as it totally focused on budget control. It doesn't count your money, nor invoice your customers, but it tracks your time budget. If you want invoicing, you can integrate it with Freshbooks. If you need payouts, connect it to Quickbooks. * Hours’ visual timeline lets you track in real-time or add time retroactively. This product is different from others because your worker doesn't have to press anything to clock in and clock out, instead just place the card in front of smartphone camera or bring NFC card to compatible smartphone. * A special temper-proof device TimeTablet™ can be provided for wall-mounting. Allows not only to determine on which websites and applications employees spend their working time (including number of hours), but also to find out who's late and who's in the office on time. Additionally, it is good to determine your own time-spending habits. Helps to find out how much time you have spent, for instance, in Facebook or how productive your general time-spending habit is. Additionally, the app also monitors how your productivity changes over time. Based on applications being used it determines where you have spent your time and how much time you have spent on a particular project. Helps you to see how much your freelancers work on your projects and what do they do. Very similar to Hubstaff, but with invoicing instead of contractor payments. Tracks your employees' working time and invoices your customers. Especially convenient if you need such payment specifics as flat rate, reimbursement, contingency, overtime, taxes and so on. Good for those who works alone and doesn't want to pay monthly subscription for online services. Works in terms of Customer->Project->Task->Expenses. * Allows to record the distance and time travelled with a vehicle whether for billing or tax purposes. Made in Austria and mainly focused on Microsoft technologies. Due to its highly customizability it looks like it was made for developers. Charges basing on the number of active users per day. * Offered only to organizations and not to consumers. All prices are excluding VAT. Will tell you the exact time-spending habits as well as indicate the busiest days of the team. It has a free plan, but it's hidden in the user's billing page. Helps to find out how much time you or members of your team have spent on a project and the way this time was distributed among task categories. Allows tracking how much time you or members of your team have spent on a project and how that time was distributed among clients, projects and tags. Helps to find out how much time was spent on particular tasks and clients as well as keep record of additional expenses. Will tell you what apps your child is using or the activities your employee has spent his/her time on. Helps you to analyze website, document and software usage statistics as well as to know when employees start working and duration of their breaks. Tracks the location of an employee during work hours, employee's particular tasks and their duration as well as who is working at the moment. Being a bit complicated for ordinary freelancers it's rather designed for attorneys, accountants and other professionals. Like eBillity's Time Tracker it's provides additional financial and legal features. Provides basic task management and time tracking functionality (Clients, Projects, Tasks, Services, Team members). Team collaboration is mainly realized in sharing of task status, comments and current team member status. * Windows and Linux applications are made in a form of Chrome Application. Supposed to assist you in project management, time tracking, invoicing and receiving money from your customers. Allows to 'resell' your employee's time to the customers. Tries to combine task management (due dates, task status, daily due reminders), lightweight project management (budget, expenses, payments) and time tracking. Records what applications and websites you use allowing to assign tags to all your activities and then generate tag-based time sheets and statistics. Also provides an on-premise server application for you to monitor your team activity. Especially good for invoicing your customers and working with contractors (in addition to your staff). Though there are no built-in contractor payouts, you can invite contractors to Ronin and their invoices will be payable (if they upgrade to a paid plan). Sitting in the system tray, it distributes your working time among the projects basing on what applications and web sites you're working with. Also tracks how much you rest and reminds you about working and/or resting time. Being purposed for personal use mainly, it helps you to realize what you spend time on. Thanks to automatic categorization it may especially be helpful for those who frequently switch between tasks and still want to know how much time they spent on a certain project. Provides automatic time tracking. But instead of tracking your apps, Daily periodically asks you what are you doing at the moment. Allows setting an activity, for example, presentation or lunch. Possibility to set particular days and hours when time should be tracked. It's a time tracking web service with built-in timer and reports. It supports team work and integration with other services via Google Chrome plugin. You can group tasks into projects and the system administrator is able to access to reports of any user. Allows to track time with hourly rates or fixed salary. Supports overtime for salaried employees. Timer is managed from employee's account via web. Timer works in the background mode which allows to avoid keeping your browser always open. Perfectly intergates with QuickBooks and Lacerte providing seamless synchronization. Features customizable user interface and flexible reports, but seems to be more appropriate for small and medium sized businesses than for freelancers. Allows to bind work of remote employees to projects. Projects enable you to limit work time and set up an hourly rate for each employee. Also it takes screenshots and tracks mouse and keyboard activity. Sweet guide! Maybe you could add Saus (https://saus.us) to it? It is a time tracking tool I recently start using and so far I am liking it best! I asked them about invoicing as well, and they told me they are currently working on it, as well as on mobile phone apps. Yast.com if you have time. We have to define “whether it is web based timesheet, cloud based timesheet or installed app…. Hi, do have any suggestion or you just promote your product? i think we can use cloud based timesheet.The reason is “it can be accessed from anywhere anytime and data stored can be secured”. Nice article! Another suggestion is Attainr.com. Very easy to use and nice design. Thanks for including us! Much appreciated, and if you have any questions we’d be glad to get them answered here. – Calendar based with Google Calendar and Outlook exchange integration to log time directly to your calendar items. We use ZipTimeTracker.com and like its simplicity and mobile version. Also have used Paymo. Great article btw, love how you can filter the results based on tags. Please add CreativeWorx TimeTracker (http://www.creativeworx.com). It *automatically* captures activity and learns to intelligently assign the correct billing code. Works with Adobe Creative Suite, calendars, Office, browsers and virtually every other application on Mac & Windows. Integrates with large-scale ERP platforms such as NetSuite, Microsoft Dynamics and more…plus online invoicing tools, such as Freshbooks, Quickbooks and Harvest. Individual and Teams plans, too. http://www.creativeworx.com. Thanks! Nice reviews! When you have time please also review https://www.temponia.com We’re fairly new on the market, our focus is on a graphical calendar interface to log time (so no start/stop timers). We got native mobile apps and flexible reporting / dashboards. We integrate with Xero and Zoho (others on request) and got an API available to let others integrate. If you got any questions please let us know! Thanks a lot, cool guide! I propose to add Motivate Clock ( http://motivateclock.org/en/ ). It is totally free and handy time tracking app. Nice app. Is it possible to filter applications by keywords in the title (not only by the application type)? Now it’s not possible, but it will be useful feature. I’d say it’s a must. I tested your app. It looks very nice, but for me it’s almost useless since I use same applications for different projects and MotivateClock can’t determine what project I’m working on. All your competitors do it. Thanks for the review 😉 This feature is scheduled in future releases. Been using it and so far I like and recommend it. I like the way it creates the time records and its pricing and billing features are quite good too. Thanks for the list. A lot to explore there. There are a few I did not know. Cheers! Hi Gabriel, why do you want to know my opinion on primaERP if you already use and like it? Are you affiliated with it somehow? Very useful guide specially the criteria for defining the perfect time tracker. Wonder if you are able to try out OfficeMA Timesheet (http://www.officema.co.uk), It’s a cloud based timesheet that features manual time entry or using a timer, it has a Chrome browser extension and mobile apps in addition to other features, such as clients, projects, tasks, revenue, rates and report. I use time tracking software. It helps me. It helps to concentrate on the tasks. I use “Time Tracking primaERP”. It increases of my productivity. Well there’s a great time tracking software missing from this list: https://www.timeneye.com I’ve been using it for more than a year now and it’s great, simple and free. It’s integrated with Google apps and follows the GTD methodology. It’s available on the web, Android and an iOS app is coming soon. Wow! What a great list. http://www.timr.com is a comprehensive online time tracking tool. We provide native apps for iPhone, Android, BlackBerry and Windows Phone. We have a free plan as well as an on-premise solution and since the last update our time tracking apps work online and offline – anywhere. I would be more than happy, if we made it onto this list. If you have any question, please contact me! I’m on it. Alex Nowak (derfalschehase@gmail.com) turned your email into a to-do. To-do receipts are automatically sent to let you know that your email was added to the recipient’s to-do list in Handle. the simple way to stay on top of your life. Disclaimer: I work at TSheets. Found this excellent list browsing Quora discussions. Would love it if you could add TSheets (http://www.tsheets.com). TSheets is the the #1 rated app in the QuickBooks app marketplace (currently over 1,400 reviews – https://appcenter.intuit.com/tsheets) and has the most amazing free (phone, chat, email) support you can possibly imagine. Really. 14-day free trial and free support questions are available and welcome during the free trial. It’s already there, isn’t it? It would be awesome if you can add BigTime on here. – Cloud-based time and expense tracking software, with reporting. – 3+ users… 14-Day Trial (https://www.bigtime.net/sign-up/) – Includes expense tracking, project/budget tracking, billing/invoicing, advanced reporting… and more. Thanks, is it designed specifically for attorneys? Hi all, many of the apps listed are insufficient for the mid and enterprise market. Take a look at companies such as Cronforce.com, Replicon.com, Clarizen.com for more advanced solutions. Thank you for the good article. I prefer to use TMetric (https://tmetric.com/) in my work. This app is free of charge, easy and convenient. Work day is visualized as a timeline. The tool integrates with many popular project management systems such as Trello, Asana, Red Mine, Basecamp, Githab and other.